State Sen. Daylin Leach appears to have made up his mind. The Montgomery County Democrat plans to alert his 40,000 Twitter followers and extensive email list Thursday that he will make a big announcement in early July regarding the Seventh District congressional race. Feels like a go. After all, why hype a "no"? Leach, an outspoken liberal, wants to run against Rep. Patrick Meehan (R.,Pa. ), who is in his fourth term representing the Delaware County-centered district, said a source close to Leach who spoke on condition of anonymity because he was not authorized to discuss internal campaign deliberations. Leach has been interviewing potential campaign managers, and has engaged a pollster and media consultant, the source said. Leach would join a crowded field, with five Democrats having filed paperwork to run against Meehan. The moderate district leans Republican, but President Trump lost it last year, giving Democrats hope that bubbling rage against the president on the left can transfer to the House race. 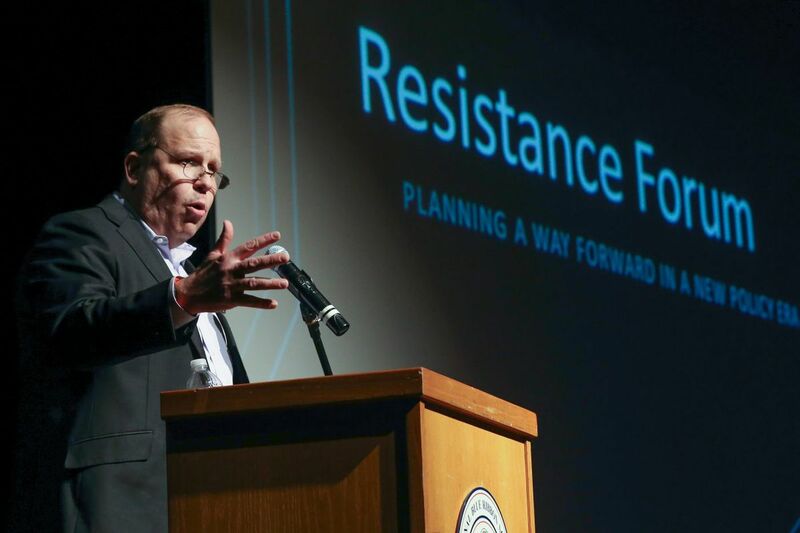 Leach, who once called Trump a "fascist, loofah-faced s–gibbon" on Twitter, said he is motivated in considering the race in part by what he sees as the need to have a Democratic House that can check the president's worst impulses. "He demonizes people, delegitimizes basic aspects of government and society, has no respect for constitutional norms," Leach said. "This is an existential threat to our democracy, in a way we maybe haven't seen since the Civil War." Leach is not ready to announce a candidacy yet, however. An active candidate needs to file finance reports with the Federal Election Commission, and needs time to get some fund-raising momentum. Many Democrats think that the liberal senator could win a primary but struggle with the Seventh's more moderate electorate in the general. Republicans hold a voter registration advantage in the district, 49 percent to 36 percent, so any Democrat would need some crossover votes. "I believe this is not a year where partisanship is going to be the deciding factor," Leach said. He said a poll recently taken for him showed a strong crossover potential. Leach lives in the Montgomery County portion of the Seventh, but the bulk of the district is in Delaware County. He is not a stranger to Delaware County, though — Leach's state Senate district includes two large townships in the county, Radnor and Haverford. Leach ran for the House in the 13th District, based in Montgomery County, in 2014, and finished third in a four-way primary.